This article was originally published by Indian Country Today and is reproduced here with permission. Countdown. There are now less than 100 days until Election Day. That means little time for campaigns to reach every possible voter or to raise money to get their message out. The elections are less than 100 days away and there are far more than a hundred stories. Stories about candidates. Stories about races where the Native vote can make a difference. Stories about registration drives — and making sure that Native Americans have access to ballots. And stories about the last flurry of primary contests. Let’s start with that. 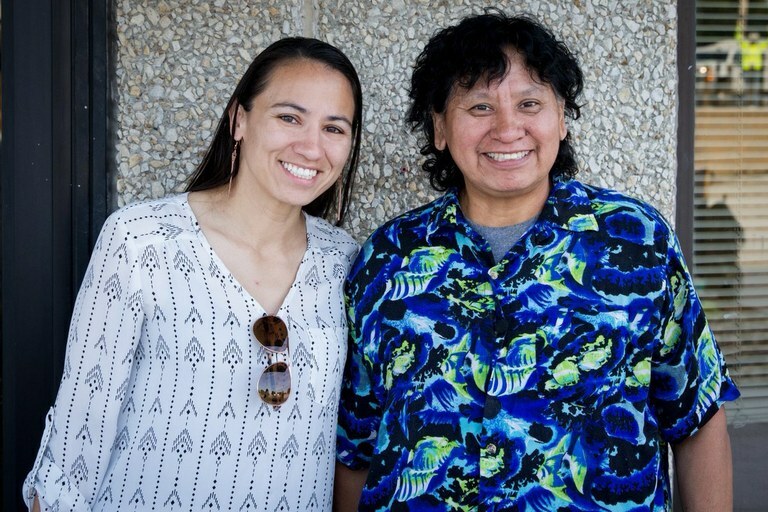 Congressional candidate Sharice Davids and her mother, after voting in a Kansas primary. Sharice Davids, Ho Chunk, is running for Congress in Kansas’ third congressional district. This race has taken on national implications as sort of a fight between establishment Democrats and Bernie Sanders. In the minds and tweets of many Sanders supporters, Davids is not progressive enough. This is a district that Hillary Clinton won in 2016 and Davids’ best case is that her record and ties to the district make her the ideal candidate come November. This seat is now held by Rep. Kevin Yoder, a Republican. 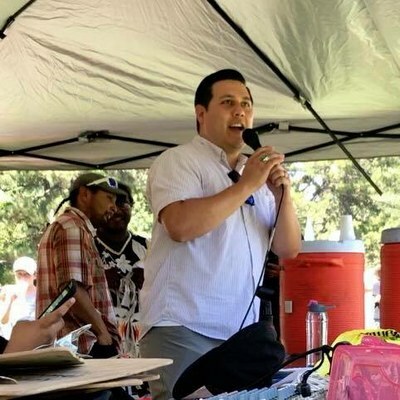 Davids has been ignoring Sanders’ support of one of her opponents, Brent Welder, and instead been picking up endorsements from elected officials and citizens within the district. Early voting and vote-by-mail has already begun in many parts of the country. Early voting has become such an important part of modern campaigns because it allows a candidate to track their likely voters and get a good idea about how many votes are cast before Election Day. Then, in theory, you can make calls, and get voters to the polls on Election Day to seal the deal. Early voting is actually an old idea. It was once seen as a way to protect the rural vote, giving people more time to cast a ballot. But in the hectic modern world, it’s an insurance policy for those of us who get busy, travel or just find it difficult to cast a ballot on Election Day. Citizens like early voting. It now accounts for more than a third of all ballots cast nationwide. 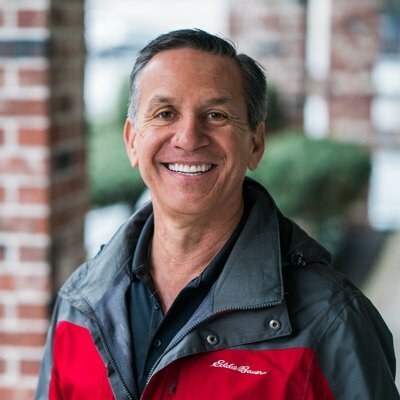 Dino Rossi is a long-time politician who was once “elected” governor of Washington in 2004. That is until ballots were recounted again and again and it turned out he lost the race by a 133 votes (out of 2.6 million votes cast). He’s Tlingit but rarely mentioned his affiliation until he ran for governor a second time. Dino Rossi, a long-time Washington Republican. Rossi has become the Washington Republican Party’s reliable candidate. Since losing the governor’s race twice he has ran for the U.S. Senate and then was appointed twice to fill in as a state senator for office holders. He’s running to replace a Republican, Rep. Dave Reichert, in the 8th congressional district. Washington uses the top two primary system. So voters on Aug. 7 will pick two candidates for the November election, regardless of party. Who will turn out to vote? It’s true that states and other governments have built barriers to voting, making it that much harder for people to cast a ballot. But it’s also true that a lot of people just don’t vote. Two years ago, for example, Big Horn County had the lowest turnout in Montana, showing 55 percent turnout. The county is mostly comprised of Crow and Northern Cheyenne citizens. The statewide turnout was 74.4 percent. And at the very bottom of those statistics are American Indian and Alaska Native citizens. No matter what happens after the 100-day mark, this has already been an historic cycle for Native American women running for office. There are top-tier candidates for Congress, statewide office, legislatures, and even more running for corporation commissions, county offices and city posts. 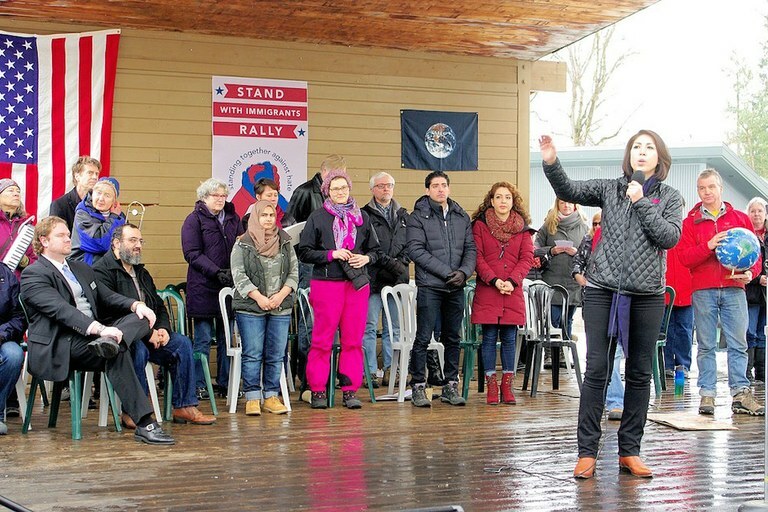 Paulette Jordan, the democratic candidate for governor of Idaho, speaking at an immigration rally in 2017. It’s tempting to think of this trend as a response to Trump and his administration’s policies. But that narrative arc would miss the decades of work that have occured to get to this point. The first Native women to run for Congress, Jeanne Givens, Coeur d’Alene, in Idaho in 1988, and Ada Deer, Menominee, in Wisconsin in 1992, created legacies that are very much a part of the landscape today. 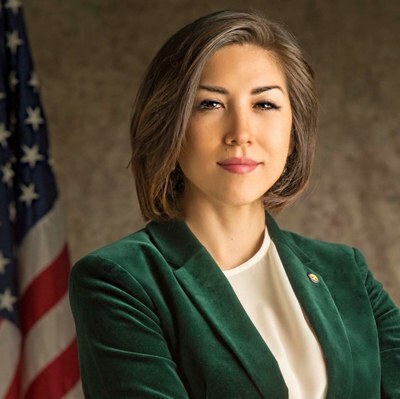 Paulette Jordan, Coeur d’Alene, the Democratic nominee for governor in Idaho, has said Givens is a mentor. 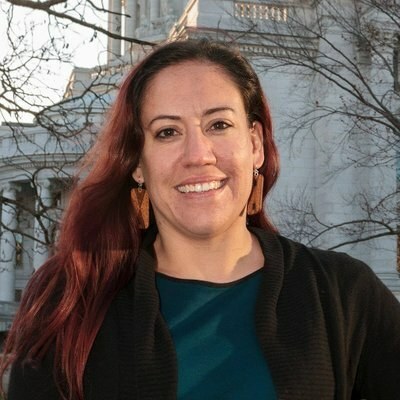 And in Wisconsin, Arvina Martin, Ho Chunk, is challenging the party establishment in her bid for secretary of state. That is exactly what Deer did in 1978 running for the same office. It’s also interesting how the national media has caught on to this trend. There have been stories in The New York Times, National Public Radio, and Teen Vogue. There are three Native American candidates for secretaries of state, the chief election officer (four if you count Byron Mallott, who, as lieutenant governor of Alaska, is that state’s chief election officer). Arvina Martin, a Democrat challenging the incumbent secretary of state in Wisconsin. The two other candidates for secretary of state are Alexandra Frederick in South Dakota and Gavin Clarkson in New Mexico. At a recent candidate forum she made the case for a more secure system. “Paper ballots. It’s very hard to corrupt a paper ballot and the most secure way to vote,” she said. 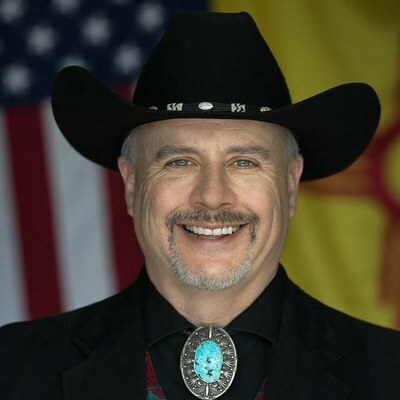 Gavin Clarkson, the Republican nominee for secretary of state in New Mexico. She is “carpooling” with Wayne Frederick, Rosebud, who is running for the state’s public utility commission. They were both nominated at the state Democratic party convention. One thing new this cycle is the rise of third-party candidates. More Native Americans are running for office as independents, on the Green Party ticket, as a Libertarian or without any party affiliation. There remain two other candidates for Congress as independents. Ray “Skip” Sandman, running for the 8th congressional district in Minnesota, and Henry John Bear, running on the Green Party ticket in Maine. Sandman is Ojibwe and Bear is a citizen of the Houlton Band of Maliseet Indians. Bear is counting on a new election mechanism, ranked choice voting. In most U.S. elections, a candidate can win office with a minority of the vote. But in a ranked choice process, voters are asked for their second and third picks. Votes are tallied until a candidate has a majority, 50 percent plus one. Sara Mae Williams, Tohono O’odham, Green Party, Arizona House. Adrian Owen Wagner, Blackfeet, Green Party, Montana House. Aaron Camacho, Prairie Band Potawatomi, Green Party, Wisconsin Senate. Rob Edwardson, Tlingit-Haida, independent, Alaska House. Katie Nepton, Montagnais First Nation, Libertarian, Michigan Senate. Cristine Ives, Colville, no party affiliation, Washington House. In 2014 and 2016, Paulette Jordan was elected to the Idaho House of Representatives. This is where numbers get interesting. A poll last week published by Idaho Voices for Change Now showed Jordan trailing the Republican nominee, Brad Little, by 10 points. In a deep red, Republican state like Idaho, that’s pretty good news. The poll showed 8 percent for a third-party candidate (which could be a factor working against the Republican come November) and more than a quarter of all voters undecided. The poll reflected intense interest by voters; 84 percent said they will be voting. Third point. A national poll by Pew Research shows that the millennial generation, those born after 1980, see the world and government differently than earlier generations. “Millennials have a decided preference for a bigger government providing more services: 57 percent say this, while 37 percent say they would rather have a smaller government providing fewer services,” Pew Research found. Idaho has a young population. And, if millennials vote (they say they will) that could elect Jordan. And millennials, like women voters as reported in the poll, are not happy with the administration. What’s more, Jordan has expressed her independence running against the party’s establishment. And then winning. This fits the millennial profile, too. Millennials overwhelmingly identify themselves as independents, but who vote for Democrats. The ideal match — especially if millennials show up to the polls in greater numbers than in past elections. Andria Tupola, who is Samoan and Native Hawaiian, faces voters in the Hawaiian primary on Aug. 11. She is a clear favorite to win the Republican nomination. A recent poll showed support from 41 percent of voters. Tupola says she’s feeling confident about winning the primary. “We’re feeling good but you know that’s only half the battle. We need to build enough momentum to fly through the primary with outstanding numbers and bring it into the general,” she told KITV news. 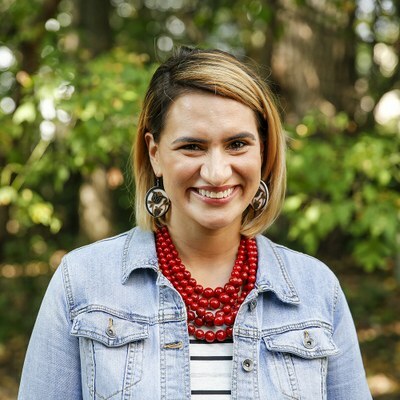 Peggy Flanagan, White Earth Ojibwe, and a Minnesota state legislator, announced last fall that she was running for the office of lieutenant governor. She would be the first (a theme here) Native woman to serve in that office or any statewide office in Minnesota. The primary is Aug. 14 and she is the candidate for the state’s Democratic-Farmer-Labor Party. Peggy Flanagan, the Democratic-Farmer-Labor Party candidate for lieutenant governor of Minnesota. History, right? Except Flanagan is also one of two Native women currently seeking the lieutenant governor’s office in Minnesota. Donna Bergstrom, a candidate for the Republican nomination for Minnesota lieutenant governor. 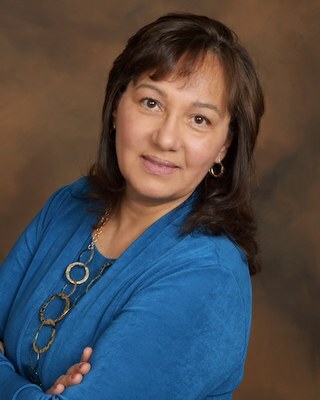 On the Republican side of the ballot, Donna Bergstrom, Red Lake Ojibwe, is running with Jeff Johnson for her party’s nomination. Bergstrom is a retired U.S. Marine after her service of 20 years. “I never once doubted that the Marine Corps was the right choice for me. In my class, we started out with just under 90 women and graduated about 25,” she recently said on Twitter. Bergstrom said her interest in politics picked up because of the state’s high taxes. She also supports education reform and supports gun rights and the Second Amendment. Several states require a majority — fifty percent plus one — for both the primary and general elections. So when there are a lot of candidates, that pretty much means there will be a second election. Oklahoma’s runoff primary is Aug. 28. There are two Native American candidates for Congress that will be in that race. Jason Nichols, the mayor of Tahlequah, is running for the House in the 2nd District, and Amanda Douglas is a candidate in the 1st congressional district. Both are Cherokee citizens and Democrats. There are two more candidates for statewide office on the August ballot. Kevin Stitt, Cherokee, a Republican candidate for governor; and Ashley Nicole McCray, Absentee Shawnee and Lakota, for state corporation commission. She missed winning the primary outright by less than one percentage point. Stitt told the Muskogee Politico Survey that as governor he will represent the entire state when it comes to tribal gaming compacts. “As a registered Cherokee, I know first-hand what a tremendous benefit the tribes have been to our state, creating tens of thousands of jobs, expanding health care options in rural Oklahoma, and more. When we enter negotiations, I will be looking at what is market (comparable with states around us) with tribal contracts and at what is in the best interest of the entire state of Oklahoma,” he said. McCray has consistently challenged the orthodoxy of Oklahoma as an oil and gas state. On her Facebook page she recently posted: “Wind and sun - energy for the long run!” Then she cited a study that showed Oklahoma moving into the second state spot for wind power production. Two incumbents, Reps. Markwayne Mullin and Tom Cole, will be on the November ballot. Both are Republicans and are currently the only tribal citizens serving in Congress. 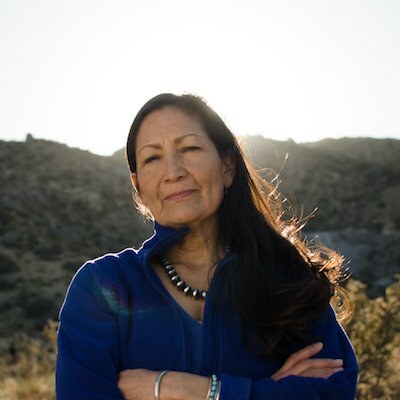 Deb Haaland, the Democratic nominee for New Mexico’s First Congressional District. Deb Haaland won the Democratic party nomination for New Mexico’s House seat but she still must win the bid from the district voters in November. Haaland, Laguna Pueblo, recently told Albuquerque voters that it’s time to abolish the Immigrations and Customs Enforcement agency, known as ICE. The end of his ad is in the Hawaiian language. James Singer, the Democratic candidate for Utah’s 3rd Congressional District. Utah’s James Singer, Navajo, is also running on a platform focused on millennial values. He said he can break the Republican stranglehold on the 3rd congressional district with an “unabashedly democratic socialist campaign focused on “bring(ing) back the welfare state” and ending inequity. In an op-ed for Indian Country Today, Singer called for moving the Bureau of Indian Affairs out of the Interior Department and into the State Department. “How much better would our nations be if we conducted diplomacy between governments rather than as subordinates in a bureaucracy?” he asked. Alaska politics run on on a different track. Four years ago Byron Mallott, Tlingit, was the Democratic Party’s nominee for governor. But he left the ticket (with the party’s blessing) and joined the independent ticket of Bill Walker. They won and four years later many expected a repeat path, Republicans versus an independent and a Democrat. But former U.S. Senator Mark Begich tossed his hat into the ring shortly before the filing period ended. So Alaska voters will have a three-way choice among a Republican, still to be determined, Begich, and the independent Walker. There is an additional twist: Begich’s running mate is Debra Call, Dena’ina Athabascan, and a member of the Knik Tribal Council and the Cook Inlet Tribal Councils. Last week Mallott wrote a fundraising letter challenging both Republicans and Democrats, saying they did not have to make hard decisions about governing the state during an era of shrinking resources. He called one of the Republicans, a “cotton candy candidate” because he demanded budget cuts without specifying one. He said Begich was nowhere to be found during the fiscal crisis. Note: This article has been updated to correct the name of Alaska lieutenant governor Byron Mallott. Mark Trahant is the editor of Indian Country Today. He is a member of Idaho’s Shoshone-Bannock Tribe and former president of the Native American Journalists Association.